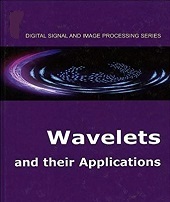 This book is intended to give the necessary mathematical background on wavelets, and explore the main applications, both current and potential, to computer graphics. The emphasis is put on the connection between wavelets and the tools and concepts which should be familiar to any skilled computer graphics person: Fourier techniques, pyramidal schemes, spline representations. It focuses on a generalized theory that naturally accommodates the kinds of objects that commonly arise in computer graphics, including images, open curves, and surfaces of arbitrary topology. Alain Fournier is a Professor in the Department of Computer Science at the University of British Columbia. His research interests include modelling of natural phenomena, filtering and illumination models. Michael Cohen is on the research staff at Microsoft Research in Redmond, Washington. Until recently, he was on the faculty at Princeton University. He is one of the originators of the radiosity method for image synthesis.